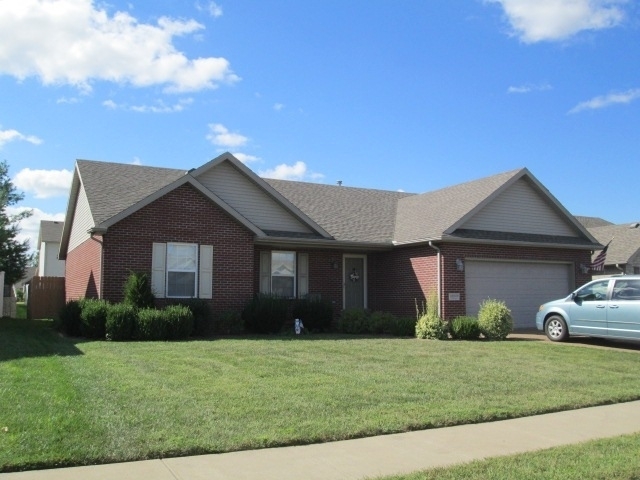 Landscaping gives this two-owner 3 bedroom all brick home great curb appeal! Located just minutes from east side conveniences! The floor plan features a large great room with a cathedral ceiling for a spacious atmosphere. The kitchen includes ample cabinet and counter space, stainless appliances, a breakfast bar and pantry for additional storage, and the adjacent dining area is open to the great room. The master bedroom has its own private full bath and nice walk-in closet. Outdoors, the privacy-fenced back yard includes a patio and yard barn.